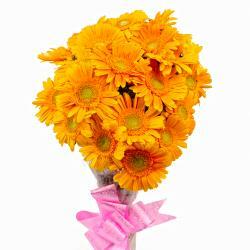 Product Consist : 18 Stem Yellow Color Gerberas with green fillers in Cellophane Wrapping with Ribbon Bow on it. 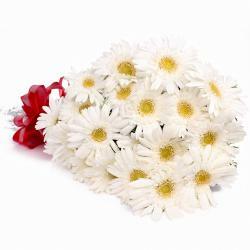 Flowers are said to speak a thousand words. 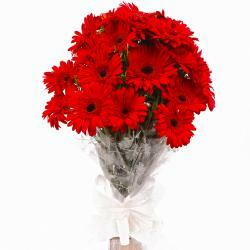 Make a special occasion count for someone you love with this fresh bouquet of flowers. 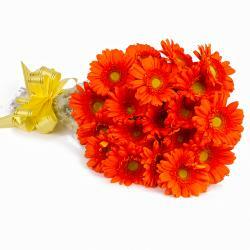 It consists of yellow color gerberas that look vivacious and perfect. They come wrapped in cellophane paper that lends an even better look to this bunch. Be it a Birthday, Anniversary, Retirement Gifts, Easter, Valentines Day or any other event, this can be your perfect gift idea. 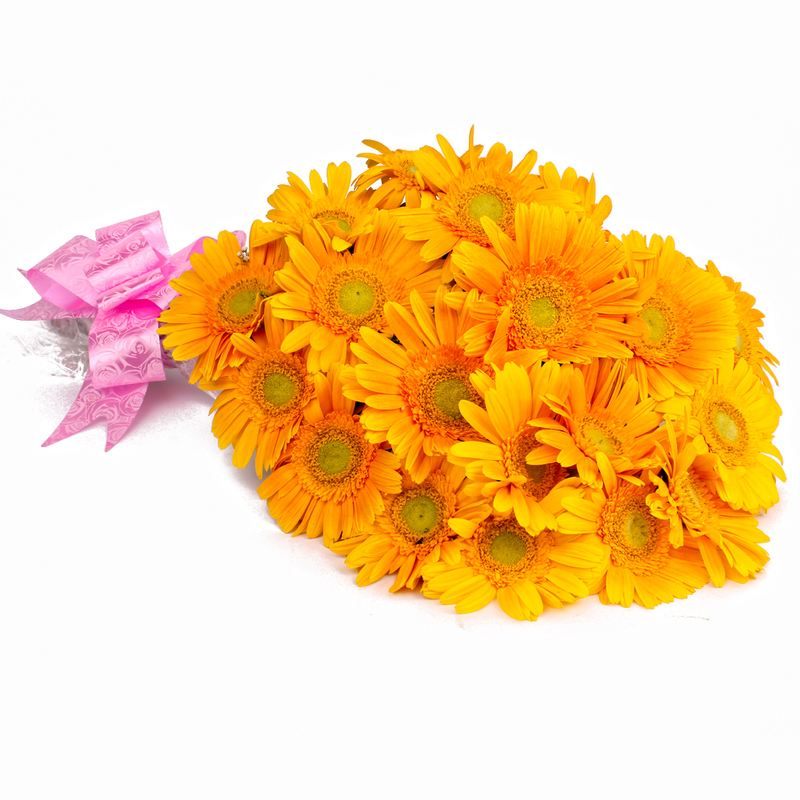 Product contains : 18 Yellow Color Gerberas with green fillers in Cellophane Wrapping with Ribbon Bow on it.